Empirical Labs designs and manufactures professional audio signal processing equipment used in recording studios, live sound, broadcast studios and other audio production facilities all over the world. 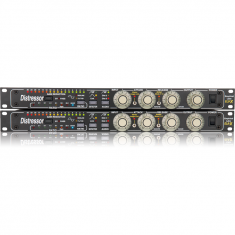 They also produce plug-ins for digital audio workstations (DAWS) and software for digital signal processors. Empirical Labs was founded in 1988 and functioned mainly as a recording studio and electronic consulting firm. The founder, Dave Derr, was also employed at the time by Eventide as an audio engineer where he was part of the core design team for the H3000, H3500, and DSP4000. His experience at Eventide proved invaluable for his later work. While working alongside Ken Bogdanowicz and Bob Belcher (both now at Sound Toys), Dave was exposed to state of the art engineering and the modern world of digital signal processing (DSP). The first Empirical Labs product – the Distressor – was designed in 1994, tested and revised for several years, and released in 1996. With over 20,000 units sold, it has unquestionably become a modern classic. In 1998, Empirical Labs closed the doors of the recording studio to focus on the growing signal processing business. Later that year, the company picked up and moved to a larger facility to meet their increased production requirements. Today, all Empirical Labs products are still manufactured in the USA and rigorously calibrated and tested by hand. 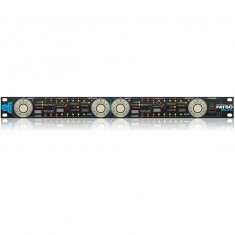 Empirical Labs products available at Mic Hire include the EL8X-S Distressor Stereo Pair and Fatso EL-7X.